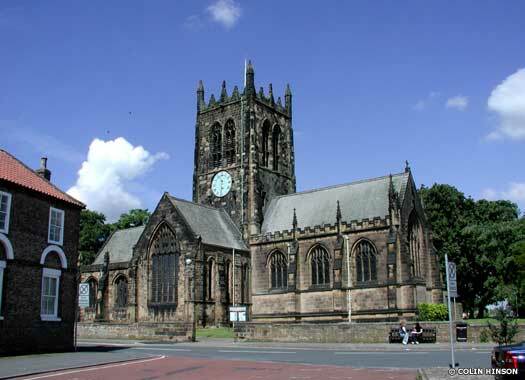 All Saints Parish Church stands on the western side of the High Street, with Castle Close behind it, in the market town of Northallerton, the administrative capital of the North Riding of Yorkshire. The first church on this site probably dated to the seventh century, although no documentary evidence exists of any building before the present one. That first, probably wooden, building is said to have been founded by St Paulinus, first bishop of York (died 644). The present building dates to the ninth century, and fragments are occasionally unearthed. The majority of the Perpendicular church was rebuilt in the fifteenth century, but the Norman north aisle arcade (of about 1120) has survived. The south aisle arcade was added about seventy years later. The tower collapsed in 1318, when Northallerton was sacked by the Scots. It was replaced by the present tower in 1420. The interior was extensively refurbished in the late 1800s. 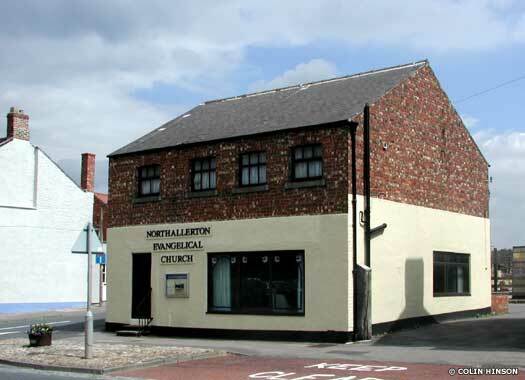 Northallerton Evangelical Church is on the south-east corner of the High Street and Swain Court. It traces its origins to 1964 when a small group met in a Bible study meeting. 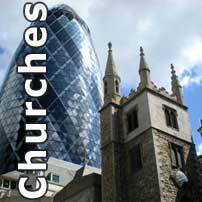 A Sunday morning service was started in 1965 and the church was formed in November of that year. Early meetings were held in homes, at a hall in Alverton Lane and, from January 1970, at the Women’s Institute Hall in Romanby. The official opening of the present building took place in June 1979. New Life Baptist Church stands well back from the eastern side of the High Street, opposite All Saints Church (see above) and overlooking Tannery Lane. 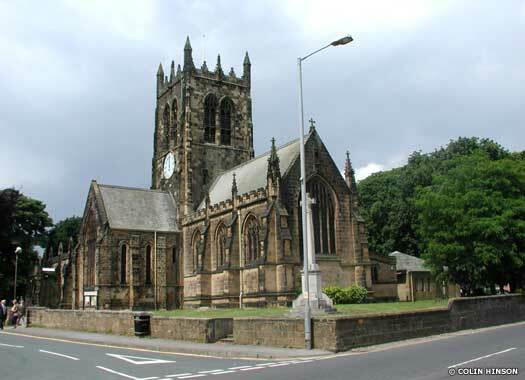 The church was previously at Brompton Chapel, opened 1850. In 1866 they moved to the newly built Wesleyan Chapel (see below). 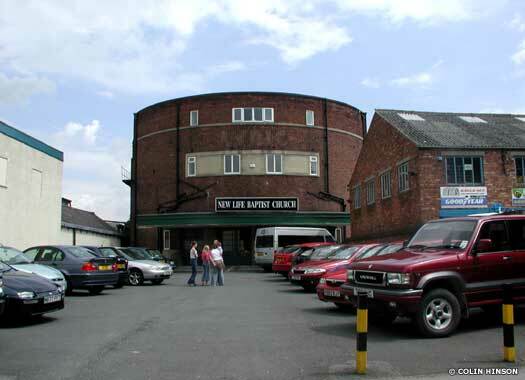 Northallerton Chapel was purpose-built in 1958, but this eventually proved too small, so the former Lyric Cinema was purchased in 1997 and opened for services a year later. 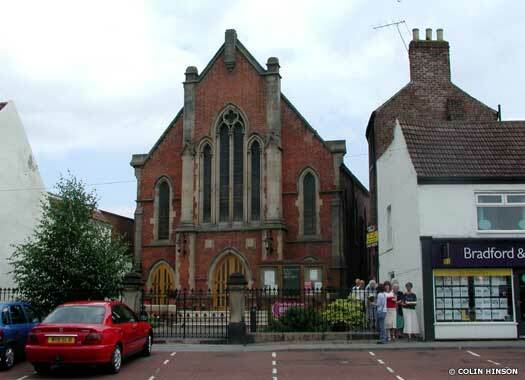 Northallerton (Wesleyan) Methodist Church is located on the eastern side of the High Street, midway between the parish church and the East Road roundabout. The building was erected in 1865. The elegant galleried interior contains communion furniture by Robert Thompson, the Mouseman of Kilburn, and the meeting rooms house a series of paintings of Yorkshire abbeys and monasteries by local artist, Daisy Barnes. The church also possess a fine choir. Northallerton Cemetery Chapel stands within the cemetery grounds immediately west of the High Street and All Saints Church (see above). 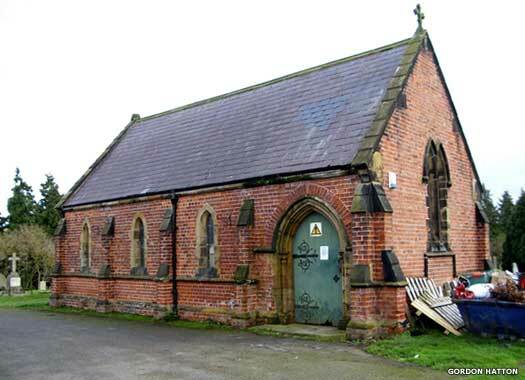 The building shown here is one of a pair of Victorian red brick chapels which face one another. They are described as being of no architectural value but as usual with Victorian buildings they do possess an air of charm. Both now appear to be used for the storage of grounds maintenance equipment. Five photos on this page contributed by Colin Hinson, and one licensed for re-use under a Creative Commons Licence by Gordon Hatton at Geograph British Isles.